Please fill out the following form completely to request a CSA Show Judge at your event. Please note that a request for CSA show judging must be received no later than three months before the date of the show to be judged. This should be sent to Arthur Pinkers, CSA Awards Chairman (see below). The $50 judging fee entitles the club to a partial page black and white advertisement in the CSA Journal. This payment should be sent to Eric Andreasen, CSA Advertising Sales Director. 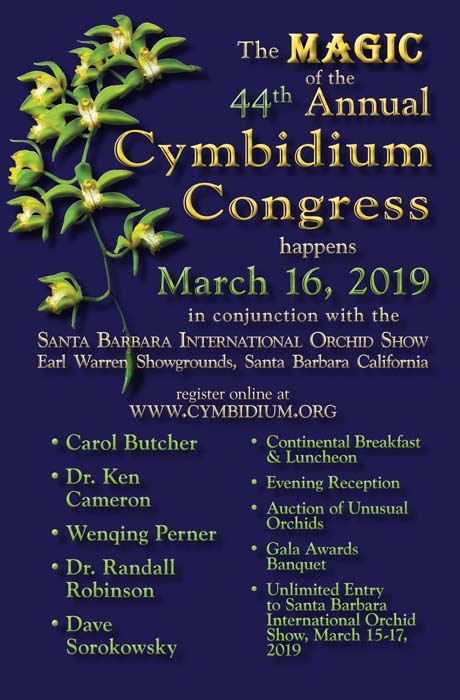 If you wish to award a Gold Medal Cymbidium and/or Gold Medal Paphiopedilum plaque for an exhibitor display, there will be an additional $50 fee for each plaque. Checks should be payable to the CSA. It is expected that the sponsoring society of the show will provide photography for awarded plants. The CSA must receive publication quality digital photographs of at least six mega-pixels in size of all CSA awarded plants within two weeks after the show. It is not necessary that these digital images be raw or tiff format. High quality jpeg images are sufficient. The awards photographs should be uploaded via The Awards Photo Submissions Form.